Do you need a bigger file? The file available on this site is 1024 x 964 px. To obtain an alternate file type or higher resolution copy, please contact the owning institution. Scope/Content: Audio recording of Arcifanfano re dei matti, opera in three acts, by Karl Ditters von Dittersdorf recorded at the University of California, Irvine on March 9, 1974. Performers: Performers unknown; program information not available. 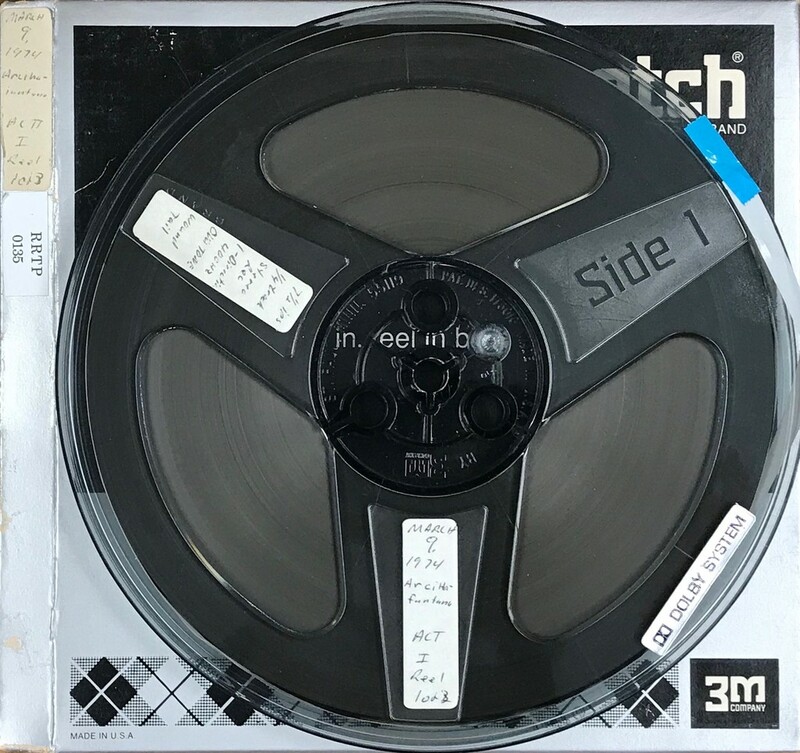 Conservation History: Digitized from reel-to-reel tape June 1, 2018 by Mass Productions, Tewksbury, MA.